Spend Valentine’s Day with your significant other, but join TPO in a rare performance of Bruckner’s “Romantic” Symphony the day after. The “Romantic” evokes the legendary medieval times of chivalrous knights, enchanted forests, and delectable feasts. Pixels, a newlycommissioned work for saxophone and orchestra by Piyawat Louilarpprasert promises to bring us back to the twenty-first century in vivid high definition. 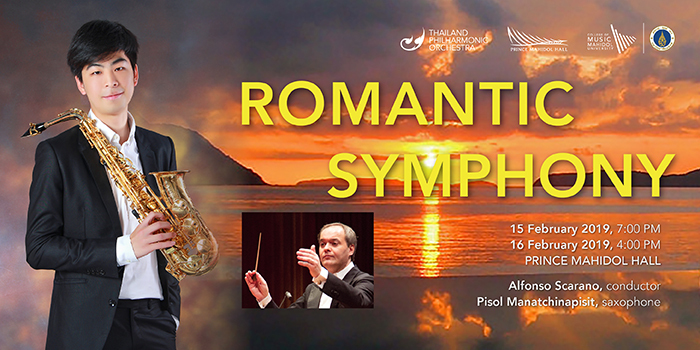 Spend Valentine’s Day with your significant other but join the Thailand Phil in a rare performance of Bruckner’s “Romantic” Symphony the day after. The “Romantic” evokes legendary medieval times of chivalrous knights, enchanted forests and delectable feasts. Pixels, a newly commissioned work for saxophone and orchestra by Piyawat Louilarpprasert promises to bring us back to the twenty-first century in vivid high definition. In his Fourth Symphony Bruckner recalls the bucolic atmosphere of the Austrian countryside. Like Beethoven in his Pastoral Symphony Bruckner’s goal is to enshrine the love of nature in musical form. 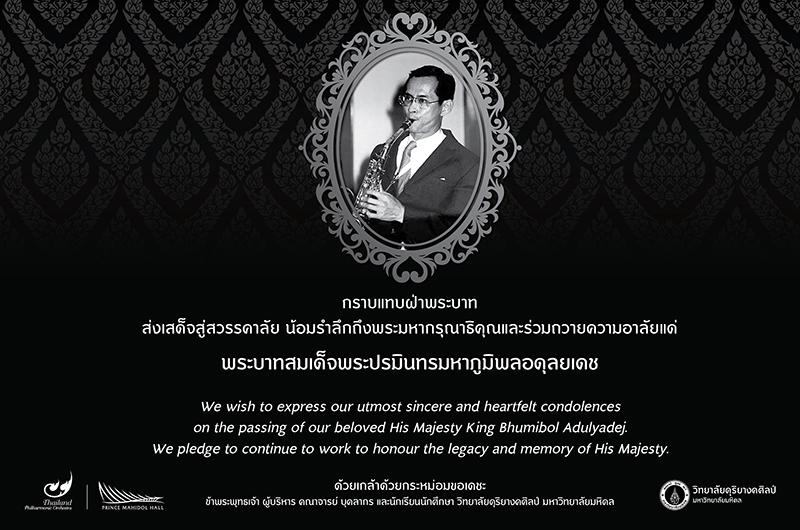 In Piyawat Louilarpprasert we have an up and coming Thai composer with passion for the new: he often blends the arts in multi-media presentations. In Pixels he favors the traditional colors of the orchestra with saxophone soloist in dynamic contrast. This world premiere with be presented by Pisol Manatchinapisit under the direction of chief conductor Alfonso Scarano.